My name is Kayode Ogundamisi and the following was published on twitter as a thread, since publishing the thread, I received overwhelming messages from parents and fellow compatriots who are dealing with the issue of dyslexia. Many compatriots requested it should be published as an article. I started my formal education at Command Children School Ikeja Cantonment in Nigeria. Dad was in the Army as an 'order rank' but he was resolute to have me attend the prestigious CCS meant for Senior Nigerian Army officers, he convinced his boss who was then a Major in the Nigerian Army, Major Dasilva to enrol me as he would his own son. Dad did not want me to attend Army Children School (basically for 'other ranks’) Staff Sergeants down to Private in the Nigerian Army' he would pay my school fees (*More than half is salary) directly into Major DaSilva’s account. That was how I ended up being enrolled in Command Children School Ikeja. Command Children School had upper class elite military officer’s kids in class we had a child of a former and then Head of State, kids of most members of the ruling Armed Forces, Generals etc. I did not fit in, always skiving to Army Children School in the same Cantonment. My head teacher at Command Children School was so kind, she would always get soldiers attached to Command to go fish me out from Army Children School Ikeja opposite the Mammy Market. So, I spent half of my term in Command, other half roaming around Army Children School. Though Command Children School was 'cool' we had 'FAN milk' 'Gala' and all sorts of exotic food, we even had tea in our hall with PEAK MILK supplied, a piano in the hall, even 'White teachers' my heart was always in Army Children School, authentic and represented my social reality. I managed to complete my education at Command Children School but that was where I first had the word Dyslexia.Mrs Kukoyi would describe a few of us as being "dyslectic" it never made sense to me, never bothered to find out what it meant. Was not really interested in Command Children’s School. Despite my truancy at Command Children School, I was famous for being a good debater, a star goal keeper for the school soccer team and 'the go guy” by the *"ajeboters" for all the thrilling news in our "ajepako" world. After primary school, I gained admission into Command Secondary School Ipaja but Dad could not afford Command Secondary School. Lucky for us the progressive Unity Party of Nigeria won the election in Lagos and South West Nigerian States and that was the party of Chief Obafemi Awolowo, whose party had a policy of free and qualitative education for all as part of its party manifesto, Lateef Jakande who was Lagos Governor took over all missionary schools and Dad enrolled me in the first Muslim School in West Africa Anwar Ul Islam College Agege a Lagos suburb. Anwar Ul Islam College formerly Ahmadiyya College was established in 1948. Before UPN threw it open, it was mainly available for elite wealthy upper-class Muslims and very few wealthy upper-class Christians, but with the new policy of Free Education for all I enrolled and integrated well with my mum being Muslim and my dad a non-practicing Christian. At Anwar Ul Islam College I was fortunate to have an environment thanks to Jakande and Awolowo that broke social barriers, I had no inhibitions, I was a guy from an 'ajepako' background, who attended an 'ajebota' school and had the best of both worlds. I became a star from Form 1. At Anwar Ul Islam College I never heard the word Dyslexia, I did well in school, was amongst the top 3 students in class from form 1-5 in the subjects of Literature, Government and History. Despite leading and representing my school and Lagos state in debates with my colleagues and defeating top schools like the elite Kings College Lagos in literary and debating challenge finals my writing was very poor. I would take notes in class, go home and unable to read my own note. I had to rely on school mates who lived in our Alimosho neighbourhood to read notes they had taken and then go into exams. My main English teacher Mrs Oladipupo never gave up on me. I sat for the West African Examination Council exams and scored A2 in Literature and A3 in English. From college I proceeded to Fed Polytechnic Nasarawa to study business administration, then left for University of Jos, graduating with a 2nd class degree in Political Science and then a diploma in journalism at the Nigerian Institute of Journalism and followed up graduating with master’s in Public Administration from the Ogun State University. Not a word on Dyslexia was ever mentioned as I successfully completed my journey, I knew it was tough but I was determined and earned my academic qualifications. When I moved to the UK having migrated and lived in Holland and Germany I decided to go for a Masters in International Relations, got admitted, wrote my first assignment and my Professor (Late Professor Gowan) called me into his office and suggested I go for Dyslexia Screening Assessment. The words of Mrs Kukoyi's many years ago as a child in Command Children School echoed. I took my Professors advice and went for a Dyslexia Screening Assessment in London. What was identified by my primary school head teacher, never mentioned in secondary school, never came up at UNIJOS, NIJ or OSU became real. It was confirmed that I had some form of dyslexia and needed support. My university in London gave me all the support needed and I graduated with another Masters in International Relations, my thesis on small and light arms proliferation was adjudged outstanding and refreshing. So, I had been dyslectic without knowing, without support and faced the challenge in Nigeria, there will be a child in Nigeria now in my position, a parent yet to identify a dyslectic child, how we view and treat dyslexia and other related issues in Nigeria needs to change. We cannot keep applying the *'Koboko' solution if a child shows slow signs of progress in school. In today's world assistive technology products and services are available to support people with dyslexia and those with other forms of disabilities. Teachers and parents need to be trained and supported on how to identify and deal with children with dyslexia, education reform should include support needs. But for that conversation with my daughter, my dyslexia assessment test in London, the attendant result and support I received would just have been my little secret, but if my thread here will help just one parent, one person, then my world is made. To learn more about Dyslexia just type the word on Google. Since publishing that article on twitter, I have also realised a lot of my compatriots are dealing with the same issue but do not want to be stigmatised, it is also reassuring that we have many groups supporting children dealing with dyslexia, you can identify one, join them and seek professional support, you can also seek the help of psychologists, don’t let your child wait his or her entire adult life to discover they could have done more as a child. I overcame life’s challenges without knowing, not a lot of our children will have the same opportunity that I had. *Koboko (“A long flexible whip made of cow skin or horse tail the word “koboko” was originally used by the Hausas and Fulani of Northern Nigeria to describe a horse whip or a highly dreaded whip used by military officials in disciplining the unruly”). *Ajebota (“An ajebota (pronounced ah-jay-butta) is someone who lives a privileged, pampered life. In Nigeria”). Kayode Ogundamisi is a commentator on Nigerian and international affairs and host of PolitricksWithKO. 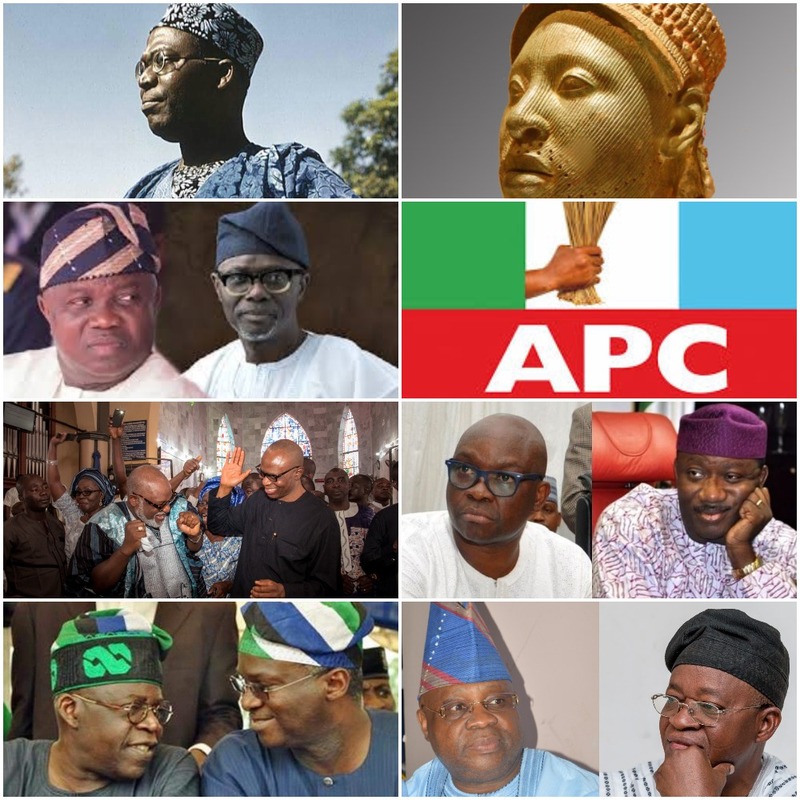 It is faulty to equate the deep loyalty Asiwaju Bola Ahmed Tinubu attracts in Lagos as exemplary of ‘Omoluabi loyalty’ or being reflective of the entire Yoruba or South-West populace. Ondo State electorate will argue for example that they "liberated" themselves without compromising the 'Omoluabi' ethos. A lot has been written about current Governor of Lagos State, Akinwunmi Ambode, the irony is Ambode’s problem isn't his Godfather, former Governor Bola Ahmed Tinubu, Akinwunmi Ambode’s problem is Akinwunmi Ambode. Yoruba and especially Lagosian’ s do not like Governors or political appointees who are perceived as ‘arrogant’ or cannot be reached, if you like tar the whole of Lagos roads with gold, they want to be able to ‘visit’ and expect TP on the way home, party leaders and members expect you to attend meetings at intervals, they don’t want you forgetting them during ‘Ileya’ ‘Christmas’ or any festive period, the street talk is that Ambode was not only unreachable to party members and leaders, he lived in his own world, his appointees are also detached, party members can’t even remember the name of commissioners in Ambode’s cabinet. Gone are the days when Rauf Aregbesola, Musiliu Obanikoro, Muiz Banire, Tokunbo Afikuyomi and co were Commissioners and you need not see the Governor to have a say in the government. Ambode ran a one man show. Ambode is a product of the ‘baba sope’ collegiate contradiction and a victim of same. Hopefully the Yoruba "progressive" will learn from the resistance in Ondo, Ekiti, Kogi and the disaster of losing a Senatorial seat to a dancing clown and almost losing Osun Governorship to him as a warning shot. The warning being democracy is not a gift, it is a right, leaders are servants, entrusted with superintending the fair distribution of the commonwealth, they can’t keep distributing to their lackeys, friends, cousins, wives, concubines, brothers at the expense of qualified members of the public. Many us have been saying it for years, both privately and in public, the Asiwaju Tinubu political structure would have to adapt to modern democratic ethos. The collegiate "baba sope" methods is plagued with contradictions and abuse, thus repeated conflicts. It is only a matter of time before it caves to the anger and discontent of followers and the electorate. For all his contributions to Nigeria’s democratic process, the legacy of Governor Tinubu will be better served if he stops getting involved in every selection process, let contest and processes be free and fair, Nigeria’s democratic process can only improve if internal party democratic process is free, transparent and fair, party membership open and attractive to the best who may disagree with the leaders of the party. It will be a shame for all his contributions for Governor Tinubu to leave the public with the image of the Lord of a Mafia group. The class structure of modern day YORUBA politicians is modelled after the so-called Hausa-Fulani hegemony style we all have been brought up to detest. Check beneficiaries of government appointments both at the federal, state and local levels in Yorubaland many are family members of Yoruba ruling elite. A very ‘progressive’ Yoruba Senator who mouths JUSTICE was already a pensioner in America, when the opportunity came for the ‘progressive’ to present a name to President Buhari for NAFDAC Chairperson, our Senator did not need to search far and wide Yoruba land for younger qualified Yoruba, he recalled his wife, who by the way was already a pensioner to take the position, the office of the Vice President is littered with sons and daughters of who is who in Yoruba land, Lagos House of Assemble like most Yoruba House of Assembly in Yoruba land is an extension of family meetings, ‘Familitocrcy’ is replacing fairness, New generation Yoruba leaders are winning the battle of who is more nepotistic in the Nigerian federation. The politics of 'godfatherism' is replacing the ‘omoluabi’ ethos. ‘Omoluabi’ is just a theme to cunningly use the load of bread to wipe the soup from the plate of the commonwealth. 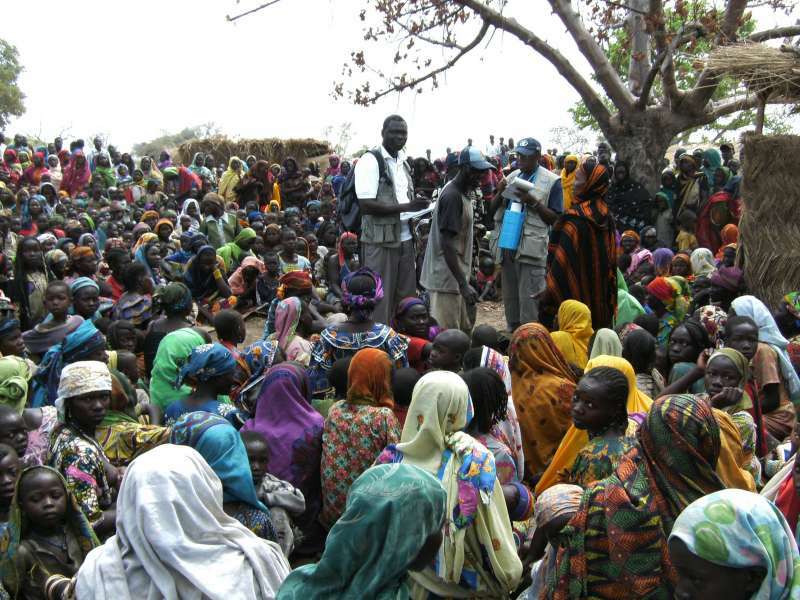 Perpetrators and victims of Ethnic/Religious conflicts are usually the poor and extremely vulnerable on both sides. Elites from both sides pour a lot of fuel into the fire. They are journalists, politicians, social media influencers etc, mostly far removed from the conflict zones. Most visit the conflict areas in time of peace. They spread second hand information back and forth to paint themselves more as victims and not perpetrators. 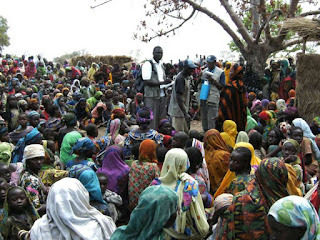 Most of them live in Abuja, Lagos, London, New York and co with easy internet access as tools to escalate crisis. Blood is a tonic for them. When the country burns it validates their theory. When was the last time you saw the poor analysing the conflict on Channels TV. CNN or Al Jazeera ? All you are are elites from both sides conjuring propaganda to suit their narratives, to make their own side the victims and the other side the aggressor, the real reason for the conflicts are hidden, when you cover up the real reason for conflicts how do you hope to get solutions. Conflicts are good news for Nigerians politicians, it gets them elected, they are good news for journalists as it sells papers, brings in adverts on TV. They are good news for bloggers as it drives traffic to the website, they are amazing news for Nigerian NGO's as it increases money donors give them, they are good news for the office based Generals in the Armed forces as they get more security votes to steal. The only people who never gain from conflict are those based in the conflict zones and they are too ignorant, emotionally charged to pause and think, too angry to see the solution right in front of them. The THEY against US narrative is an effective weapon, a deadly one at that. Most State Governors and local government heads of most of the Northern and middle belt states govern their States from Abuja. Like us, they hear the news of conflicts on TV. They wait for self centred religious leaders on both sides to take ownership and misinform the world. Those killing Nigerians are Nigerians, those inflaming the crisis are Nigerians, those benefiting from the crisis are Nigerians, the victims are Nigerians, the solution is in Nigeria. We have a choice, Continue to DIG TRENCHES and BARRICADES or start a process of building BRIDGES or we may chose the bloody Road to Rwanda. 1. A number of folks have asked me about 🇳🇬2019 @NGRPresident election. My choice of candidates so far until we get a surprise candidate. ⛔= No way. 💛= Maybe. 💚Strongly support. 💕Reluctantly. 3. My then opposition to the proposed CPC/ACN merger was born out of the principle that the CPC would over time become a party that would attract everyday people, it may lose in 2015 but slowly attract transparent grassroots across Nigeria like Labour was doing in Ondo State. 5. Fast-forward 2015 a combination of CPC @MBuhari grasroot base, the political machine of @AsiwajuTinubu, a massive chunk of opportunistic @OfficialPDPNig vampires who were smart enough to notice the electorate’s desire for change, they read the last rites to @GEJonathan & PDP. 7. Expectations of several core CPC base was that @MBuhari would use his first term in office to carry out a needed radical reform especially has he had nothing to lose bearing in mind his age, track record on transparency, his patriotism and love for Nigeria and experience. different, he may have performed by some standards but not to the standard of those of us who hold a higher performance indicator. Yes, better than the PDP days, not radically different from the PDP days. 9. Party Politics: @MBuhari did not provide leadership to his @APCNigeria knowing that he was in bed with a coalition of good, bad and the ugly, he compounded things by letting his Uncle & few trusted clan mates to run his government in the early days. By his own admission he failed. 10. Emergence of @bukolasaraki : I am not a fan of Saraki, in fact I think he should be housed in the hottest part of Kirikiri for his corrupt tendencies, but he contributed to the emergence of @MBuhari as @NGRPresident but PMB mismanaged Saraki's emergence as @NGRSenate President. 11. The moment @bukolasaraki was able to emerge as @NGRSenate President in spite of @MBuhari's posturing of (I belong to no one) his Presidency and agenda became demystified to an extent, those corrupt ones we assumed will take flight discovered GMB as PMB was vulnerable. 12. @MBuhari assumed office as @NGRPresident, first move was to alienate his core supporters, his new friends and his Uncle started making appointments for him, appointments indicated unrivalled nepotism especially those from Northern Nigeria. It was embarrassing to put it nicely. 13. When some parts of Nigeria started screaming about marginalisation, we told them to look at the so called Northern appointment, Dr Tilde put it so well as 'family affair' most appointment representing the North had traits of Cousins, wives, associates of Northern ruling elite. 14. From day 1 core ‘BUHARISTS’ not later day debutants ‘BUHACHOPS’ started warning the @MBuhari Presidency about mismanaging the peoples mandate, we were labelled ‘attention seekers’ ‘just looking for appointment’ but @aishambuhari confirmed our position that today's PMB is not GMB. 15. If @MBuhari and @APCNigeria had carried out half of the roadmaps presented to Nigerians, it would have radically transformed Nigeria. 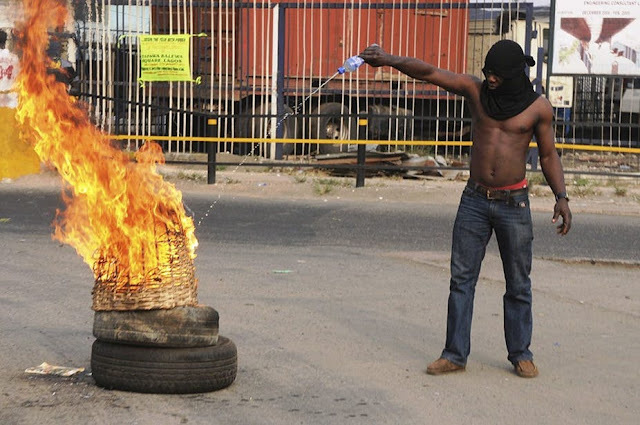 What Nigeria needs is a ‘shock treatment’. Nigeria has Cardiac arrest and we cannot continue to apply semantics, whilst those elected to find a lasting solution keep doing the opposite, keep repeating same failed experiment. 16. Today what is left of APC are PMB himself 1. VERY FEW Core GMB Loyalist’s, 2. Disgruntled APC members who are (Rightly or Wrongly) not happy with PMB but too scared to leave. 3. APC Members who do not want to lose power and hoping their turn will come. 3. PDP members disguised as APC loyalist. 17. It is sad that even the worst of PMB is good enough to run for a 2nd term, it confirms the distressing state of Nigeria. 1. Good people can’t be attracted to politics. 2. Not 1 person good enough amongst today's candidate to challenge PMB on transparency. We are truly in deep trouble based on the very limited electable choice. 18. PMB can redeem himself if he rededicates himself to the radical transformation of Nigeria. Be more open to people outside his comfort zones. 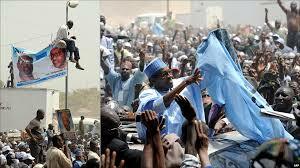 Open more channel for self-criticism & stop depending on praise singers, history wont forgive him if he fails Nigeria. 19. The question is not about PMB wining in 2019 the question is what will be his legacy after 2019. He needs to entrench party politics, help in democratising his own party, attracting young folks and also learn the spirit of give and take in politics, bring back the GMB that we all know. 20. It is in the interest of PMB and his legacy that the opposition party must be given a level playing feed to operate, that he PMB has failed to mentor anyone YOUNG and ready enough to take over from him in 2019 does not speak well of his leadership qualities. Never too late to make amends. @MBuhari's chances of becoming @NGRPresident 2019 are increasing by the day. The irony is that the ignorant and vitriol opposition is the one campaigning for him. Strengthening his Northern base with their daily dose of propaganda both online and offline, they are first to accuse Buhari of being a Northern President, every action is interpreted in the tribal, religious or primordial prism, if Buhari gets a loan from Islamic Bank to develop South Nigerian roads he is accused of trying to Islamise Nigeria. Another out of the many examples is the recent propaganda about the World Bank. So seriously you don't expect the WB to focus on one of Africa’s worst humanitarian crisis because you so hate Buhari and the Hausa Fulani’s? when you guys accuse Buhari of tribalism just consider the reflection in your mirror, you are referring to your bigoted selves. When we had the militancy in Niger Delta then President Yaradua and your hero Gridlock diverted billions of dollars to some few men who took up arms against the state, they called it ‘Amnesty programme’, today a chunk of the budget go into a programme that does not benefit the whole of Nigeria not even the whole of Niger Delta, just hundreds of violent kidnappers and militants with AK47. Today those folks get the salary for doing nothing, you bigoted souls turn the blind eye. So, because Buhari is from the North he should not draw the attention of an international agency to his countries humanitarian crisis. Guess what? if the North and hundreds of 'talakawas' in his base had lost confidence in Buhari because of the state of the economy, you guys keep mobilising them for him. First you wanted the Hitler of Abia to humiliate him and Nigeria, that failed. Now it is another propaganda series. There are many other ways to expose Buhari such as his handling of ‘Grass cGrasscutter, his NNPC contract saga, his inability to deal with corruption from within his own circle, the slow pace of recovery, some of his obvious acts of nepotism, his off and on sickness records as President, his inability to sack none performing Ministers and many more, but no, you go for North and South divide, when your hero failed it was Nigeria that failed, if Buhari fails Nigeria fails again. The choice is yours.